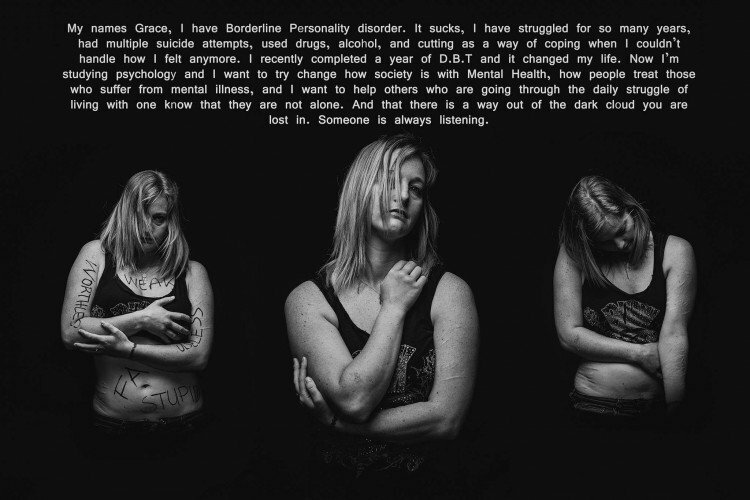 Before we explore the photo series of Grace Hall, a writer and sufferer of Borderline Personality Disorder [BPD], and for the benefit of those with little or no knowledge about the disorder; allow me to write a bit on what BPD is all about. A pervasive pattern of instability of interpersonal relationships, self-image, and affects, and marked impulsivity, beginning in early adulthood and present in a variety of contexts. People with borderline personality disorder have abrupt and extreme mood changes, that make them unstable in several areas, including interpersonal relationships, behavior, mood, and self-image.